Completed in 2014 the indoor Swan Valley Credit Union Aquatic Centre and water park, located in the Richardson Recreation and Wellness Centre, includes a 4 lane competition pool, zero entry leisure pool, waterslide, swirl pool, sauna and various other water features. Throughout the region are a number of curling rinks, skating and hockey arenas, ball diamonds and soccer fields. Numerous community halls provide great venues for many events and activities. Featuring approximately 8,000 square feet of integrated plaza and bowl terrain the Swan River Lions Skate Plaza is the only full-size, permanent concrete skateboard park in the Parkland region. 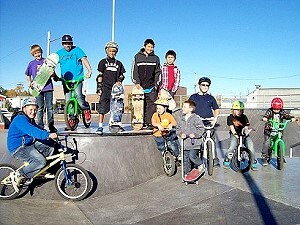 The facility is also a favorite for BMX bike riders and was designed for use by snowboarders in the winter months. Other facilities within the region include a stock car track, disc golf course, movie theatre, bowling alley and various gyms and fitness clubs. One of the most scenic and well maintained courses in Manitoba, the Swan River Golf and Country Club was expanded to 18 holes in 2012. The facility includes a pro shop, driving range, cart rentals and licensed restaurant.